Investigators looking to uncover the causes must answer one of the biggest questions: Was the plane's software to blame? 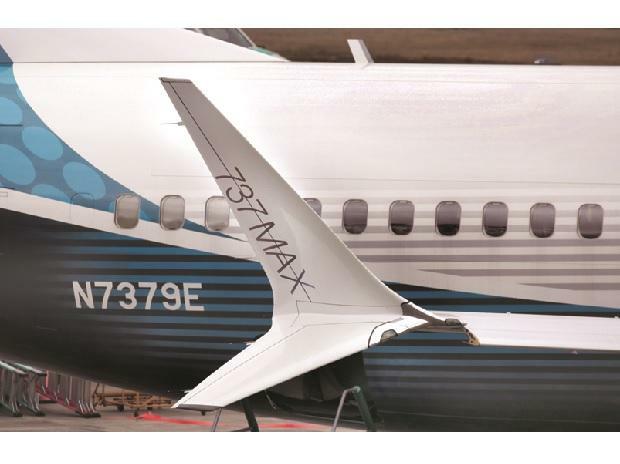 More than 300 Boeing 737 MAX jets have been grounded worldwide after two fatal crashes in the past five months in Ethiopia and Indonesia killed nearly 350 people. - Boeing has stopped delivery of all new MAX jets. Its shares have fallen 12 percent since the Ethiopian Airlines crash, wiping $28 billion from its market value. - Europe and Canada said they would independently certify the safety of the jets, further complicating plans to get the aircraft flying. - Boeing will mandate on MAX jets a previously optional cockpit warning light, which might have warned of problems that possibly played a role in the recent crashes of Ethiopian and Indonesian planes, sources said. - Indonesia's flag carrier Garuda said on Friday it sent a letter to Boeing asking to cancel an order for 49 MAX 8 aircraft, becoming the first airline to confirm plans to cancel an order after the crashes. - Investigators have found similarities in the 'angle of attack' data from both flights. A piece of a stabilizer in the wreckage of the Ethiopian jet with the trim set in an unusual position was similar to that of the Lion Air plane, sources said. - Experts believe a new flight control system, MCAS, on the jets, designed to stop stalling by dipping the nose, may have been a factor in both crashes, with pilots unable to override it as their jets plunged after a faulty sensor indicated a stall. But no conclusive evidence yet links the two accidents. - The pilot of the Ethiopian flight had reported internal control problems and received permission to return. The pilot of the Lion Air flight, which crashed on Oct. 29 with the loss of all 189 aboard, had also asked to return soon after take-off from Jakarta. - Investigators confirmed a Reuters report that the Lion Air pilots scrambled through a handbook to understand why the jet was lurching downwards in the final minutes before it hit the water. - Indonesia has advanced the date for the release of its report on the Lion Air crash to between July and August, versus a previous schedule of between August and September. - Boeing's commercial airplane division has brought in a new vice president of engineering while dedicating another top executive to the aircraft investigations, a company email showed. - US lawmakers said the planes could be grounded for weeks to upgrade and install the software in every plane. Other countries may ground the planes even longer. - The US Transportation Department's inspector general plans to audit the FAA's certification of the jet, an official with the office said this week. The office can recommend changes or improvements to how the FAA operates. - The US Justice Department is also looking at the FAA's oversight of Boeing, one of the people said. The FAA has said it is "absolutely" confident in its vetting. - The chairman of the US House of Representatives transportation committee and another key Democrat asked the Transportation Department's inspector general to examine key decisions the FAA made in certifying the MAX jet for use. - US President Donald Trump will nominate former Delta Air Lines executive Steve Dickson to head the FAA, the White House said. - Ethiopian Airlines said on March 16 that DNA testing of the remains of the passengers may take up to six months.